There is no secret behind UC's prolific discoveries and inventions or its consistently high rankings: UC is powered by its people. The students, staff and faculty at each of the 10 campuses make UC great. For Women's History Month, we profiled a variety of women who use their talents to lift up others. In our final piece celebrating the women on our campuses, we spotlight just a few of the women who share their love of community with our community, and work to empower others, no matter how near or far they may be. 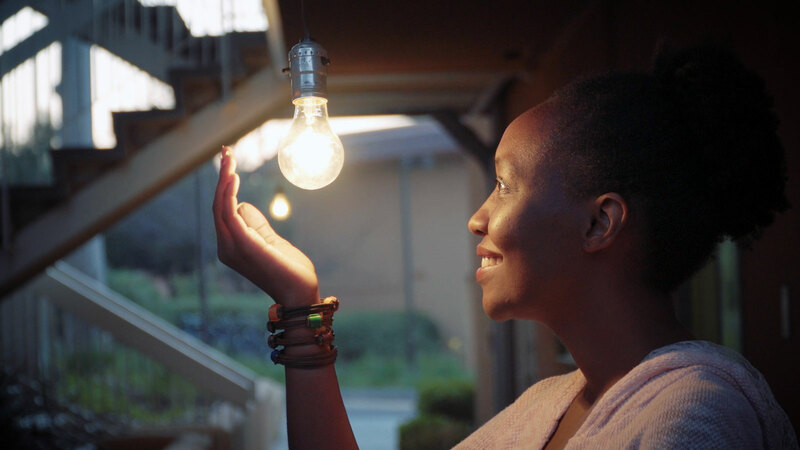 Whether someone is suffering 9,000 miles away or in our backyard, Lydia Natoolo wants to help. 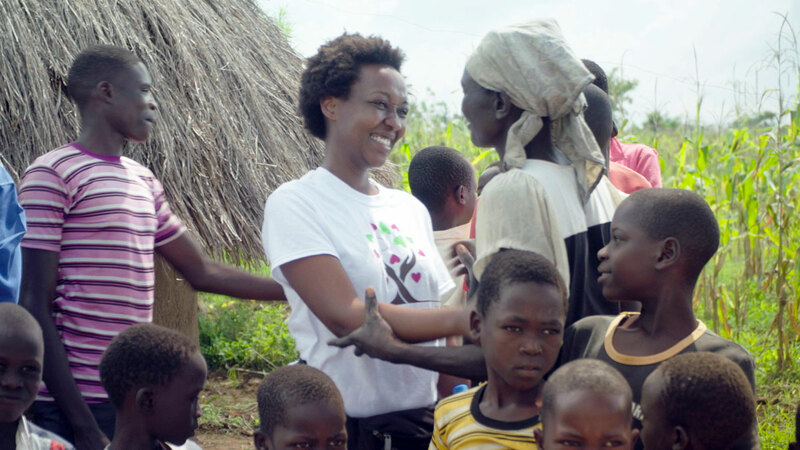 As an undergrad at UC Irvine, Natoolo founded her own nonprofit, Love A Community, to give back to villages in her home country of Uganda; she also became the president of the Associated Students of the University of California, Irvine, advocating against student homelessness, an experience she knows firsthand. She did all this while pursuing a biology degree, and graduated in 2018 with the goal of going on to earn a Ph.D. in public health and public policy. While her drive is remarkable, the place it comes from is even more so. Lydia Natoolo embraces a mother in Atutur, Kumi District, eastern Uganda, where Love A Community was able to establish a clean water system and subsequently lower incidents of communicable diseases and mortality. Natoolo also gave back to her homeland by creating a business proposal to teach tailoring skills to women battling HIV/AIDS, earning a prestigious XIV Dalai Lama Endowed Scholarship from UC Irvine. Two of the students just finished an internship in Uganda. I just want to take away pain, even for one person. Natoolo’s next move is to run for vice president of the Ugandan North American Association, the largest organization of Ugandans in the diaspora in the United States. She will also be applying to Ph.D. programs. Natoolo has eased the pain for far more than one person. And she will no doubt help many more. Nora Pulskamp, an academic adviser and manager in the UCLA American Indian Studies Interdepartmental Program, had her first experiences on campus at a young age. Not as a teenager beginning her college search; she was two years old. 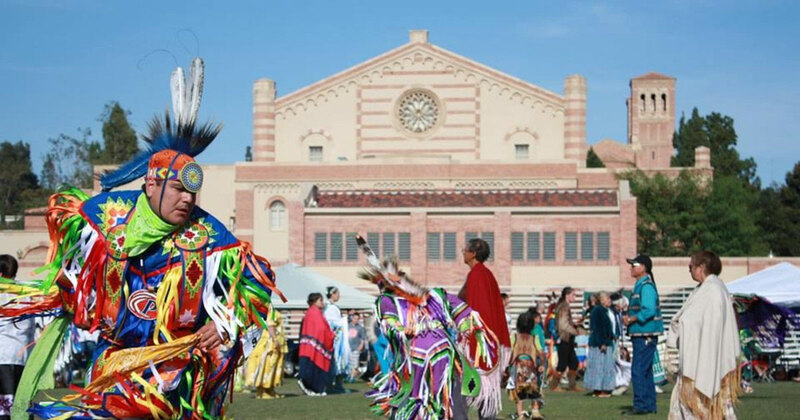 The UCLA Pow Wow, sponsored by the American Indian Student Association, is now entering its 34th year. It celebrates American Indian culture through intertribal singing, dancing and other exhibitions, and provides a space in Los Angeles for Native students and non-students alike. Pulskamp, who is Navajo, has been to every pow wow since they began to be held annually; the event has been a through line in her life of service to her community. Pulskamp grew up in the San Fernando Valley; her mother is from a rural area of the Navajo reservation in northern Arizona but came to California to attend Sherman Indian Institute, a federally run Indian boarding school in Riverside. During this time, Indian boarding schools still operated as institutions of forced assimilation. It was here that Pulskamp’s mother spent five years away from her family, was taught to speak English and given a new name. Pulskamp loved school unabashedly as a child; but her mother’s experience and that of so many others caused her to reflect on how education can be used as a weapon. “As I got a little older, I began to question things a bit more for myself. I started thinking about what Western systems of education were designed for, and began to see more and more instances where it was apparent that it was not designed to benefit Native American people. As warm and inviting as the UCLA Pow Wow is, the college environment in general for Native students can still be very isolating. Nora Pulskamp, former Ms. UCLA Pow Wow. On-campus services and support programs helped catch her when she needed an embrace from community at school, Pulskamp says. But trips off campus were also important for Pulskamp to reconnect herself with family and community, and she encourages her advisees to do the same, both to recharge and to help them be their authentic selves at UCLA. “I want to let them know that their connection to their communities has value,” Pulskamp says. She wants students who come into her office to have a familial experience, to know someone on the administrative side of things is deeply invested in their success and can help them open doors they need to open. Extracurricularly, Pulskamp works with the American Indian Alumni of UCLA, and is involved in a few organizations that bridge different university systems. She also gives presentations to students in middle school through college, and consults professionals in higher education and other fields who are considering ways to improve their relationship with Native communities. “I try my best to be everywhere I can be,” she says. “I can’t turn my back on my family, and I consider the students and people in the Native community family.” The obstacles she sees her students and their families disproportionately face frustrate her, but the knowledge that her work can have a direct impact in overcoming or removing obstacles provides strength. One of her most memorable titles was Ms. UCLA Pow Wow, a distinction she earned in 2011. Pulskamp thinks of herself as shy, but the opportunity to represent the UCLA Pow Wow proved irresistible: “When I was a child I danced at pow wows and it was exciting to watch other young girls win pageants. I really wanted to be a part of that, but I was far too shy. By the time the UCLA Pow Wow had its first pageant in 2010, I was still shy, but I was excited by the opportunity to represent this particular pow wow because of my personal connection to it.” She came up just short in year one, but in year two, she won the crown, and became the role model for children she once looked up to herself. “It was really amazing to see the kids that would come up to me, little girls, they would just be so happy. At the same time, it was giving me this opportunity to ask them about school, talk to them about college, let them know they can come visit UCLA and see the campus. For the real young ones, they probably won’t even remember that, but hopefully, the older girls I would talk to, would get something from that, talking about my experience going to college and working in higher education. Ms. UCLA Pow Wow is forging a relationship between UCLA and the Native community in a way that has never been done. Though she is no longer Ms. UCLA Pow Wow, Pulskamp remains an ally; a vital link for Native students who deserve to know that UCLA, and higher education, belongs to them. For Rebecca Calisi Rodríguez, being a scientist and a professor is “the best job in the world.” It’s a source of joy, endless curiosity, a place to bring together artistic instinctiveness and rigorous method, a constant journey. But it wasn’t always like that. Just a few years ago, Calisi Rodríguez was prepared to walk away. The reason Calisi Rodríguez was ready to leave was the culture — not at UC Davis, specifically, but in academia in general. She worked hard and got her Ph.D. in biology from UC Berkeley faster than anyone in her department had in a decade. She loved studying animals and learning what their biology can tell us about environmental health, a quest she had been on since her days as a muralist at the Dallas Zoo, connecting the moods of less than amorous okapi with their levels of cortisol and mechanical noise. But a culture of inevitable burnout, publishing compulsively at the expense of real creativity — what she calls the “publish or perish prison” — accompanied by the neglect of one’s family, interests and needs, was no longer sustainable. Having children (she has two) made it clear to her that she wanted to serve as a model for them. 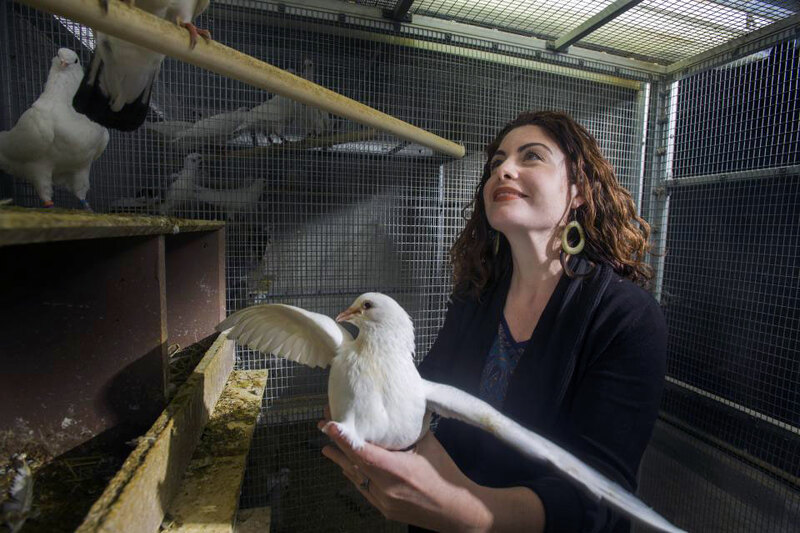 Rebecca Calisi Rodríguez with one of her research subjects: pigeons. Figuring that she was going to leave anyway, Calisi Rodríguez started speaking up: About what she needed as a mother of two young children. About being a Mexican-American woman scientist in a male-dominated field. About wanting to incorporate advocacy and communication into her work (she had, after all, taken her bachelor’s in psychology and studio arts). And about wanting to strike a balance between all of these things. “As I became my authentic self, I spoke my mind — I would never speak up in male-dominated faculty meetings, and then finally I didn’t care anymore! As I started to speak up and hold true to my opinions, I realized my department really valued them. They listened to me, they respected my confidence, and a lot of changes began to happen. “Letting my personality shine, my desire to show my family comes first, all the things that are super important to me, I’m going to absolutely not work myself to the bone but to do these things within the time I will give them. Which means I wasn’t going to spend as much time on my research. It might mean I might not get tenure, but I was fine with that. When I started being incredibly true to my desires, and voicing my opinion without fear, then I saw that things started to change. Other women and underrepresented minorities began showing their support as Calisi Rodríguez articulated the frustrations she felt as a scientist from a non-traditional background in getting attention for her work and feeling comfortable and safe in the workplace. Most notably scientist mothers, who would fly into conferences, babies in tow, focused on advancing their careers and just needing to pop in and breastfeed before the next presentation — only to find themselves searching down long and empty hallways for shabby lactation rooms, steep and supposedly inclusive registration fees be damned. Calisi Rodríguez was able to articulate to UC Davis the importance of these steps for inclusion, how they could help the university, its students, her field and science itself. “And the moment I did that, all the doors opened. I feel that my confidence, my non-traditional background that has given me all these experiences, have really made me as a professor unique. And the good universities, like UC Davis, grab onto that. And they support them. That’s what’s going to help change the culture and create more room for bringing more people to the table. Broader contributions made by more diverse groups of scientists in unique ways that you can’t write into a job description. Now that she has her voice, there is no going back. 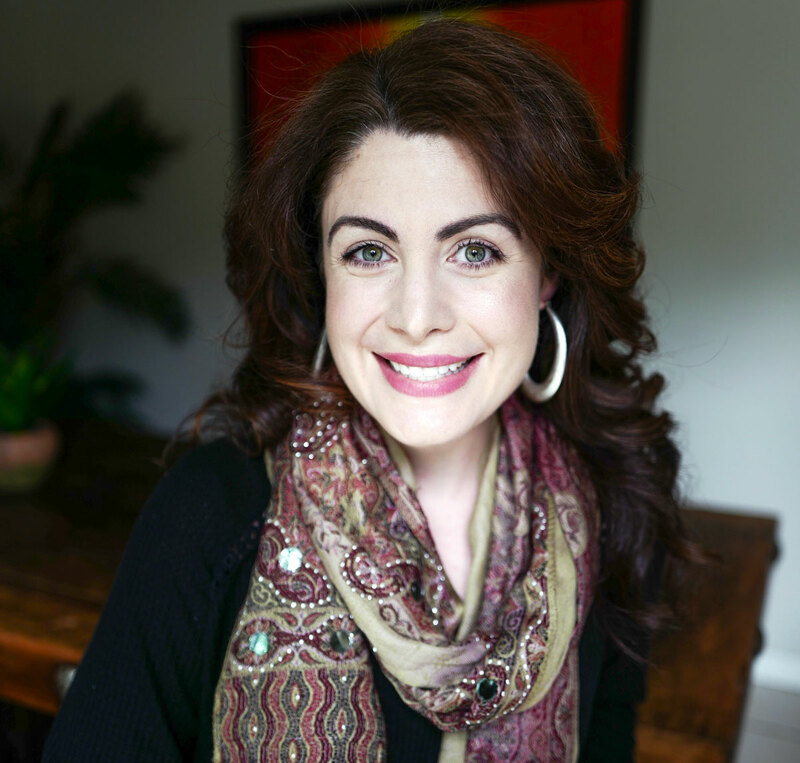 Calisi Rodríguez recently finished shooting a digital series on Latina women in science as its co-creator and host, funded by the National Geographic Society, and continues to speak at conferences on her research, childcare and other health issues, candidly discussing her postpartum depression in order to bring more attention to the need for mental health resources (and empathy) in academia. She also uses her platform to bring issues related to race to the forefront in science, while acting as an ally for other underrepresented groups. I have the privilege to take risks, and I’m absolutely going to use that privilege to make things better for others. “Things have only really gotten done in history because of boat rockers. You’re damn right I’m going to take risks!” Calisi Rodríguez says. “What happens if you don’t? You don’t know what great things can be unless you risk it all, unless you take risks, you don’t know how great you could be, how great things could be. For Calisi Rodríguez, big, positive changes have already happened. Expect her risks to keep paying off.